The basic recipe of 2 parts mayonnaise to 1 part ketchup has been around for years in many parts of the world, served as a condiment with French fries and other fried tidbits. It’s commonly called “fry sauce,” but Heinz chefs added a few more ingredients to their version of the sauce, making it more sweet-and-sour than the common two-ingredient formula, and then they gave it a new name. Heinz debuted Mayochup in September of 2018 following a social media campaign that teased the heck out of it. Now you can make your own mimicked Mayochup in a matter of minutes with these 5 common ingredients, a bowl, and a whisk. 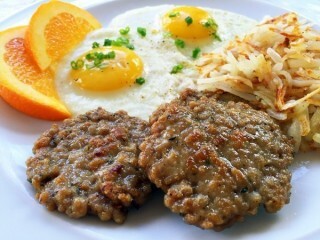 Use it on burgers, sandwiches or as a dip for French fries and other fried foods. Hunt-Wesson first introduced a light variety of Swiss Miss Puddings in 1990, but three years later changed the formula to fat-free. This chocolaty clone of the rich pudding you find in the refrigerated section of the supermarket will satisfy your chocolate craving without any fat. 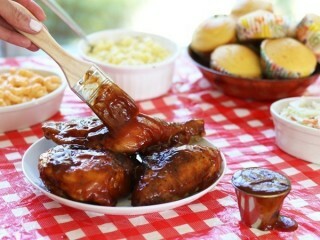 The sweetened condensed milk helps to replace fat, and the cornstarch jumps in to keep the pudding thick and creamy. The two types of chocolate used here gives you an irresistible snack that tastes just like the original product. There is no consensus on the origin of the name "Oreo." But one of the most interesting explanations I've heard is that the two o's from the word chocolate were placed on both sides of re from the word creme. This way the name seems to mimic the construction of the famed sandwich cookie. That may or may not not be true, but I know this for sure: Nabisco introduced a reduced-fat version of its popular cookie in 1994. With only half the fat, it manages to taste just as good as the original version invented way back in 1912. We cut back on the fat for our clone here by re-creating the creme filling without any of the shortening you'd find in the original full-fat version. 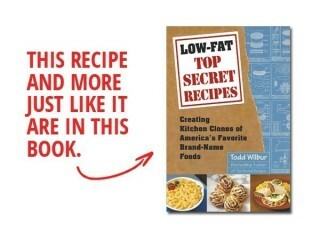 We do this with a special technique developed in the secret underground Top Secret Recipes test kitchen that allows you to create a delicious, fat-free filling in your microwave. If you want the cookies as dark as the original, include the optional brown paste food coloring in your recipe. Weight Watchers was one of the first companies to introduce low-fat foods to supermarket freezer sections. The earlier items were mostly meals, such as dinners and lunch items. In 1980 the company began offering a selection of low-fat desserts, which gained in popularity because they didn’t taste low-fat. More recent favorites are these small chocolate-frosted, crème-filled éclairs, developed in 1993. They are sold frozen, and can be defrosted at room temperature in about an hour. The clone recipe here is designed so that you don’t need a special pastry bag to make the shells, or to fill them with the delicious, custard-like combination of fat-free vanilla pudding and Dream Whip. It’s an éclair recipe you won’t find anywhere else, and it’s guaranteed to satisfy your most fierce desserts craving. Since it was founded in 1914, the Tasty Baking Company has continued to uphold its policy of controlled distribution to ensure freshness of its products. The company delivers only what it will sell promptly and removes cakes from the stores after just a few days in an effort to keep them from becoming stale. As the years went by and delivery efficiency improved, transportation routes expanded from Philadelphia to new England, the Midwest, and the South. Mixing, baking, wrapping, and packaging of the products have changed from hand operations to sophisticated automated ones, cutting the production cycle from twelve hours to forty-five minutes. 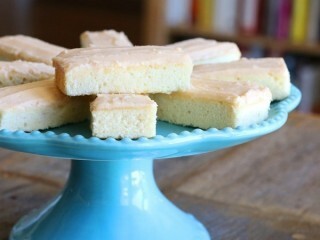 Peanut Butter Kandy Kakes made their debut in the early 1930s as Tandy Takes. The name was eventually changed. Tastykake claims you could make almost 8 million peanut butter sandwiches with the quantity of peanut butter used in Kandy Kakes each year. In 1914 the founders of the Tasty Baking Company created "the cake that made Mother stop baking." Tastykake products remain popular today with millions of snack cakes shipping across the country every day. 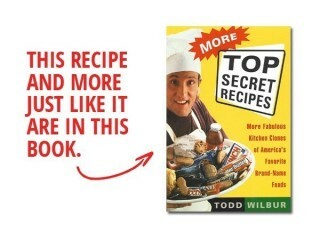 And the recipes have remained remarkably unchanged over the years. 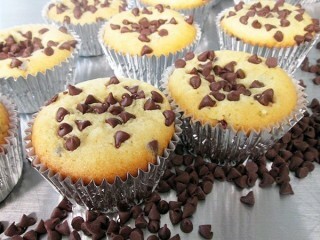 These chocolate cupcakes in several varieties are the company's top-selling item, with more than 7 million baked weekly. In 1914 Pittsburgh baker Philip J. Baur and Boston egg salesman Herbert T. Morris decided there was a need for prewrapped, fresh cakes in local grocery stores. The two men coined the name Tastykake for their new treats and used only the finest ingredients, delivered fresh daily to their bakery. The founders standards of freshness are maintained to this day. Tastykakes baked tonight are on the shelves tomorrow. That philosophy has contributed to substantial growth for the Tasty Baking Company. On its first day the firm's sales receipts totaled $28.32, and today the company boasts yearly sales of more that $200 million. Among the top-selling Tastykake treats are the Butterscotch Krimpets, first created in 1927. Today, approximately 6 million Butterscotch Krimpets are baked every week. It was a heart attack that inspired Charles M. Harper of ConAgra Foods to come up with a new product line. In 1988, the Healthy Choice brand introduced frozen dinners with reduced fat, sodium, and cholesterol. Hundreds of other products followed through the '90s, including this fat-free pasta sauce, which hit stores in 1992. 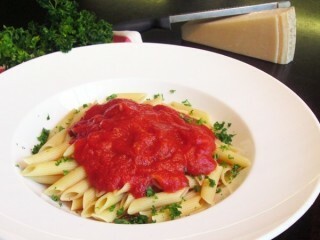 It's a cinch to make and goes great on any pasta, pizza, or meatball sandwich. In 1995 when I cloned Snapple iced teas in More Top Secret Recipes, I picked several varieties of the tea and used either concentrated juices or extracts for the fruity essence. Since that time, Snapple was sold to Quaker and the less popular flavors were retired to the land of the dead foods. But a clone for one of the most popular flavors of ice tea eluded me back then, since there was no common extract or juice concentrate to turn to for that flavor. Bummer too, since Snapple's raspberry iced tea is a top seller. Today, thanks to the popularity of flavored coffee drinks, flavored syrups can be found in supermarkets. The most common brand is Torani. Get some of the raspberry flavor and you can clone this secret recipe for a fraction of the cost of the real thing. 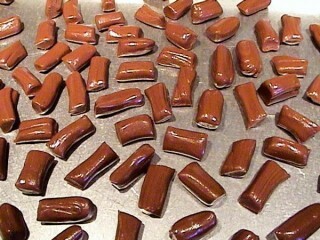 In 1914, Charles H. Miller came up with this molasses and peanut butter candy and named it after his favorite aunt. His candy company flourished, selling many confections, but none as popular as the Mary Jane. Eventually all other candies were discontinued and Mary Janes were the only candy produced by the Miller company. Miller tried playing with the formula to improve the candy, but none could compare to the original. In 1985, Stark Candy Company bought the Miller company and added the Stark name to the wrapper. Even though ownership has changed, the Mary Jane recipe is the same as it was over 100 years ago. Here's a quick and easy recipe for the brand of ice tea that blew away competitors Lipton and Nestea. Between 1988 and 1992 Snapple tea sales increased a whopping 1,300 percent. If you're a big Snapple ice tea drinker, this recipe will save you some cash. A 16-ounce bottle of Snapple tea costs around $1.50, but the same amount using this top secret hack will only cost you 15 cents to make. 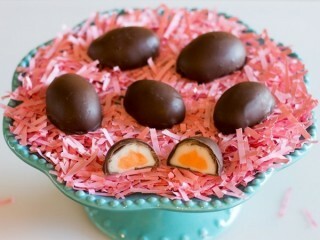 Here now is the improved version of the recipe that first appeared in More Top Secret Recipes. A while back when I was rummaging through my pantry I came upon several bottles of flavored Yoo-hoo that I had picked up from Wal-Mart and tucked away for over a year. Each of the bottles was covered with a little dust and needed a pretty fierce shaking, but the contents were well-preserved and still tasty. After some Web browsing of a few unofficial Yoo-hoo Web sites, I discovered these worshipped "Mix-ups" variety of the famous chocolate drink had since been discontinued and I was holding onto a few rare bottles. I immeditely got to work on some hacks, and soon figured out how to resurect these Dead Foods with some delicious and simple home clones. In 1972, brothers-in-law Leonard Marsh and Hyman Golden had become tired of running a window-washing business. They contacted their friend Arnold Greenberg and told him they wanted to start selling bottle fruit juices. Greenberg had a health-food store and thought their idea for all-natural beverages was a good one, so together they started selling pure fruit juices under the name Unadulterated Food Products. It took the trio about a decade to acquire the name they really wanted, Snapple, for $500 from a guy in Texas who has used it on an apple soda that bombed. Snapple's big break came in 1988, when the company started bottling ready-to-drink iced teas. It took only five years for Snapple to become the leader in the iced tea market, blowing away giants Lipton and Nestea. The Snapple iced tea phenomenon helped the company increase sales between 1988 and 1992 by nearly 1,300 percent. 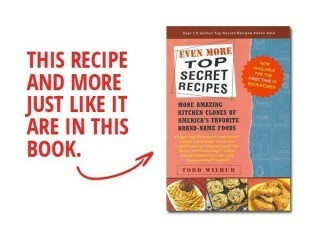 The Smith Family has a secret recipe. Those in the family (the girls) who know the delicious top secret turkey chili recipe refuse to share it with other family members (one guy in particular). Can I crack the secret formula and figure out the recipe for this desperate, hungry sibling? 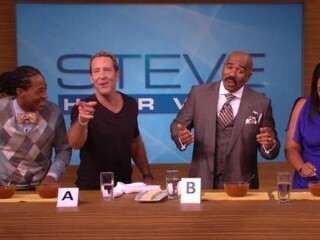 Find out how close I get with this hack on The Steve Harvey Show. Watch the video. Then make the recipe for yourself. To make your own version of the syrup for this orange soda that comes to us from the Pepsi-Cola Company, you need to combine a simple syrup recipe with two popular versions of dry orange mix: Kool-Aid orange unsweetened drink mix and Tang. 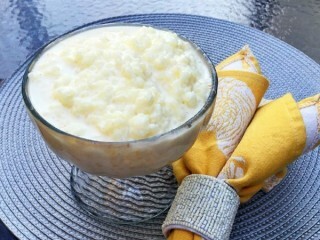 But unlike the real thing that contains no juice, your homemade version includes a bit of real orange juice solids that come powdered into every scoop of Tang mix. After you make the syrup, be sure to let it cool in the refrigerator before you combine it with cold soda water. 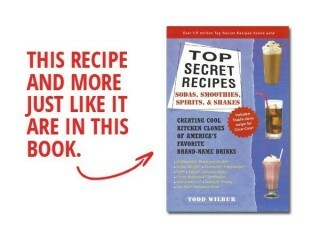 Source: Top Secret Recipes Sodas, Smoothies, Spirits, & Shakes by Todd Wilbur. Soda and citrus flavors were combined in 1938 to create a grapefruit-lemon soft drink that would later inspire Coke to make Fresca. Fresca was popular when it was introduced in the 60s since it was artificially sweetened and contained no calories. That was back when diet drinks were just catching on. Nowadays just about every soda comes in a diet version, and Fresca sales have slipped, despite a tweaking of the formula in the early 90s. Squirt continues to hold on to a loyal cult following, with many who claim the soda is the only true cure for a hangover. To clone it, just add real bottled white grapefruit juice, along with a little Kool-aid mix for a lemony zing, to the simple syrup recipe. 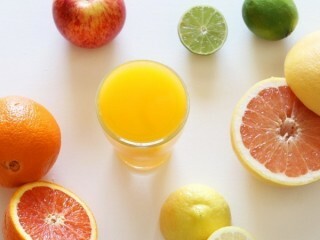 Chill the syrup and soda water until cold and get ready to make a dozen cups worth of citrus soda at home. Seven Seas dressings were first introduced by Anderson Clayton Foods back in 1964, when the trend toward fat-free foods was in its infancy. Kraft Foods later picked up the brand, and Seven Seas today ranks number four in sales of salad dressings in the United States. 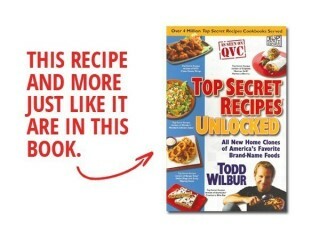 Here's my hack for creating a delicious clone of Seven Seas spice-filled fat-free Italian dressing using a secret combination of water, cornstarch and gelatin where the fat used to be. The original version of this bright red dressing is made with a generous amount of oil and is filled with gobs of greasy fat grams. The trend toward fat-free foods was in its infancy when Seven Seas went to work on a nonfat variety of the Red Wine Vinegar Dressing that would taste as good as the original. They did a pretty darn good job, too. Just by tasting the Seven Seas version of this clone, it's hard to believe there's not a speck of fat in the bottle. We can replace the oil by thickening the dressing with a top secret combination of water, cornstarch, and a little gelatin. A couple drops of food coloring with give your clone the bright, beet-red hue of the original. You can leave the coloring out of the recipe if you like, but when you see the color without the red in it, you'll understand why it's in there. This oddly name popcorn confection gets its yellow color from the butter-flavored popcorn beneath the nearly clear candy coating. We'll use microwave popcorn for this low-fat version, and we'll throw in some real butter and butter flavoring for just the right touch. 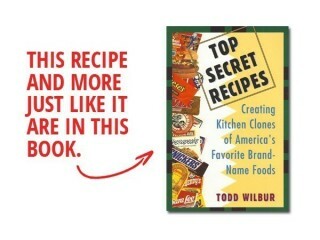 With this secret formula, we can duplicate the taste of the original with only half the fat. Snapple was selling juices for five years, since 1982, before the fruity line of teas was rolled out. Just five years after that, Snapple was selling more tea in the U.S. than Lipton or Nestea. Today, even though Snapple sells over 50 different bottle beverages, the iced teas are still the most successful products in the line. But not all the fruity flavors of tea were hits. Cranberry, strawberry, and orange are now extinct, so those flavors can only be enjoyed by making versions of your own at home with these simple formulas. 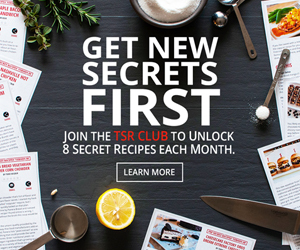 The first Top Secret Recipes book features a version of this clone recipe for America's most beloved candy creation, and the recipe is posted all over the place. But since 1993, I've learned a few things about Reese's Peanut Butter Cup cloning. 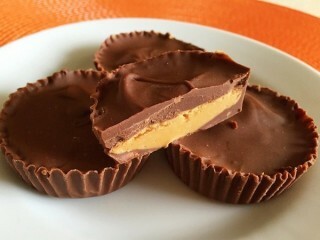 Now, when you make this Reese's Peanut Butter Cups recipe, it's better to use reduced-fat peanut butter for a texture that's drier and crumblier like the original. 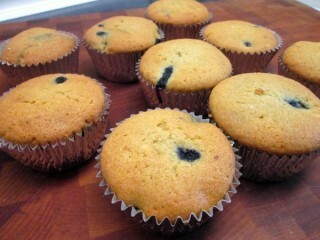 Also, use scissors to trim paper muffin cups so that they are shallower—and a better mold for your clone. Here's how to clone a Reese's Peanut Butter Cup in 3 minutes. In 1871 a German immigrant named F. W. Rueckheim came to Chicago with $200 in his pocket. He used all of his money to open a small popcorn shop in the city and started selling a sweet caramel-and-molasses-coated popcorn confection. Rueckheim's big break came in 1893, when the treat was served at Chicago's first world's fair. 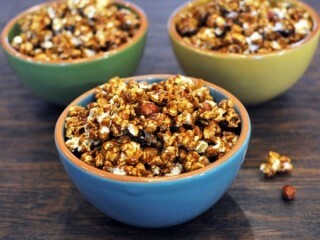 From then on the popcorn's popularity grew enormously. In 1896 a salesman tasting the treat for the first time said, "That's a cracker jack," and the name stuck. Shortly after Cracker Jacks debut another customer commented, "The more you eat, the more you want," and that's still the slogan today. In 1912 the Cracker Jack Company started adding toy surprises, ranging from small books to miniature metal toy trains. To date they have given away more than 17 billion toy surprises. In 1964 Borden, Inc. bought the Cracker Jack Company, and today the Cracker Jack division is the largest user of popcorn in the world, popping more than twenty tons of corn a day. 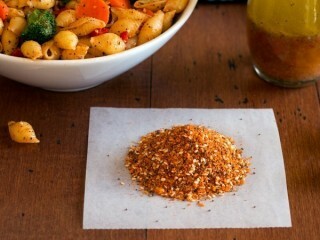 Here's a simple one that clones the most popular brand of seasoned bread crumbs. Toss all of the ingredients into a small bowl, mix it up, and you're done. 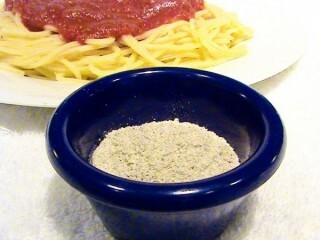 Use the finished product for an Italian-style breading—when frying or baking chicken, fish, pork chops, eggplant, etc.—just as you would the store-bought stuff. In the early 20s Natalie Olivieri was watching his wife can tomatoes, when he got the idea to create a bottled chocolate drink with a long shelf life while. When New York Yankee great Yogi Berra later met Natale and tasted his drink he was an instant fan, and helped raise funds to make Yoo-hoo a national success. 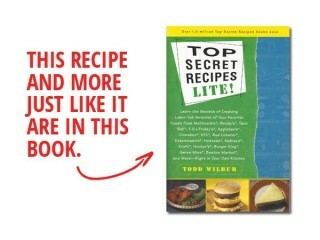 I cloned this drink in the first book, Top Secret Recipes, but have since discovered an improved technique. 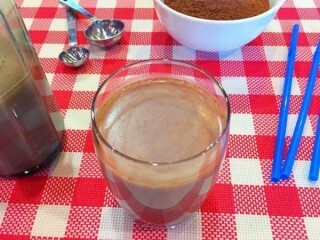 Using a blender to mix the drink, as instructed in that first recipe, adds too much unnecessary foam. So here now is a revised recipe that you shake to mix. 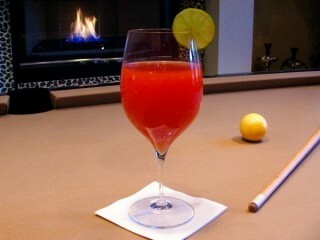 If you've never had a Chelada, the idea of mixing beer with Clamato juice may make your stomach turn. This odd combination of beverages has origins in Mexico that date back to the 1940s, when beer was mixed with lime, salt, and hot sauce or salsa. In early 2008, Anheuser-Busch (Budweiser) and Cadbury-Schweppes (Clamato) teamed up to produce the first canned Chelada beverage, which they dubbed "The Red One," and after a successful launch in select western states, the product is now exploding across the country. Many swear by the drink as a remarkable hangover cure, and after some extensive personal experimentation, I must concur. When Ben Cohen and Jerry Greenfield first met in their seventh-grade gym class, they quickly became good friends. After college the two decided they wanted to try their hand at selling ice cream. With $12,000 to invest, they moved from New York to Burlington, Vermont, where they purchased an abandoned gas station as the first location for their ice cream store. After passing a five-dollar correspondence course on ice cream making from Pennsylvania State University and spending their life savings on renovating the gas station, the two were officially in the ice cream business. Ben and Jerry opened the doors to their first ice cream parlor in 1978. 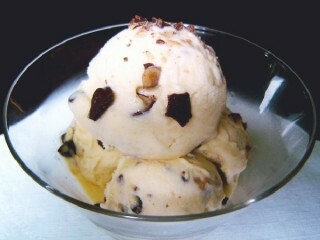 The pair's ice cream was such a big hit that they soon moved to a much larger facility. Today, just fifteen years after opening day, they produce more that 500,000 gallons of ice cream each month. Heath Bar Crunch was one of the earliest flavors on the menu and is still the most popular of the thirty original chunky ice cream creations that made them famous. The year 1989 marked the 100th anniversary of the Aunt Jemima trademark. The name was conceived in 1889 by Chris Rutt while he was attending a vaudeville show and watching a New Orleans-style dance number performed to a jazzy tune called "Aunt Jemima." Rutt liked the music so much he stuck the name on his products. 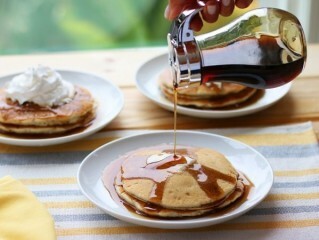 The maple syrup came along much later, in 1964, and is now the country's largest-selling syrup. Today some folks tell the story of how their friends or relatives once met Aunt Jemima many years ago and how she was a kind and cordial woman. Little do they realize these people were fooled by a promotional campaign for the products back in the forties and fifties that used actresses traveling from town to town dressed up and acting like the "famous women." There never really was an Aunt Jemima. When John Ferolito and Don Vultaggio were thinking of names for their new line of iced teas back in 1992, they scanned a map for inspiration. The idea was to find a location with hot weather. Santa Fe was the first name that smacked 'em in the face, but the two later settled on the sweltering state of Arizona, with the funky addition of a capital "Z" in the middle. Now AriZona Beverage Company makes over 30 varieties of iced teas, coffees, elixirs, juices and other hip drinks. This clone of their popular black tea with ginseng can be made with just one regular size tea bag and liquid ginseng that you can find in any decent health food store worth a grain of organic salt. Hard to believe it takes only one regular-size green tea bag to make this entire 2-quart clone of the popular iced tea in the foam green bottles. 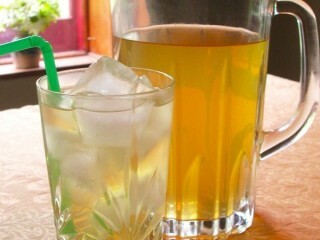 Find the liquid ginseng for this recipe in your local health food store. Be sure to get American ginseng if you can since the Chinese stuff can taste pretty rank.